Digital Financial Group (DFG) is one of the leaders in the payment processing industry, and the company became a pioneer in the area of mobile payments after entering the arena nearly 15 years ago. As the exclusive provider of vSecureProcessing, our expertise and experience has allowed us to take merchant services and payment technology to the next level. Our processing solutions and merchant services encompass technology developed through the application and experience of our executive and senior management team. 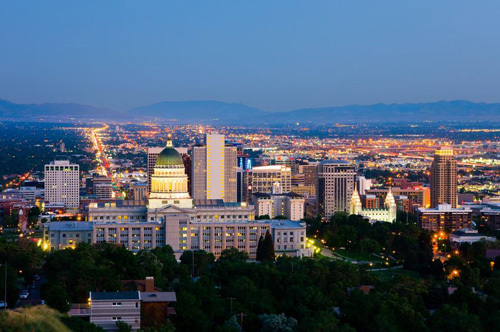 Headquartered in Salt Lake City, Utah, DFG has satellite offices across the United States. We work with Merchant Service Providers, Independent Sales Agents, and Agent Banks in order to create a large nationwide network of sales groups and agents who sell and support our merchants. We provide a fully staffed office with seasoned merchant service experts who support all of our merchant’s needs. DFG provides solutions for retail, restaurant, mobile and web-based payments. We also partner with several large technology companies in order to provide web hosting, gateway processing, and a robust suite of other solutions and cutting edge technology. Cory Gray, CEO/President of DFG, has been in the payments industry for over 25 years. He started his career with several multi-state regional banks before moving on to work for Visa, Vital Processing (now TSYS), and MICROS Systems (now Oracle MICROS). Cory has an extensive breadth of knowledge in the payments industry and a great passion for the business. Demetri Vrotsos, Chief Technology Officer, leads all technology initiatives and brings a wealth of knowledge and experience to the organization. With more than 18 years in the payments space, having spearheaded a great deal of the initial activity in the mobile payment solutions arena, Mr. Vrotsos is an extremely valuable asset to the company. Tamra A. Gray, Chief Operating Officer, is a 30 year veteran of the card industry. She has worked for large companies such as American Express, JPMorgan Chase, Visa, and Fidelity Information Systems (FIS). Ms. Gray brings her passion for the card industry to the organization, as well as her knowledge pertaining to both the issuer and acquirer sides of transactions. Additionally, the senior management team of DFG consists of payment professionals who have worked for Concord Payment Systems, Paymentech (now Chase Paymentech), First Data Corporation, JPMorgan Chase, Key Bank, General Electric, and other payment industry leaders. The overall knowledge and collective tenure of our staff allows us to continue leading the industry in cutting edge technology, approach, and attitude towards the payment industry as a whole.